I think everyone will agree that the Nest Cam is the present leader in the consumer home security camera space. They have Google behind the name of an already successful line which was formerly called DropCam. Your may not have heard of FLIR before but they have been making cameras for a long time. Ever hear of Lorex? That’s FLIR. 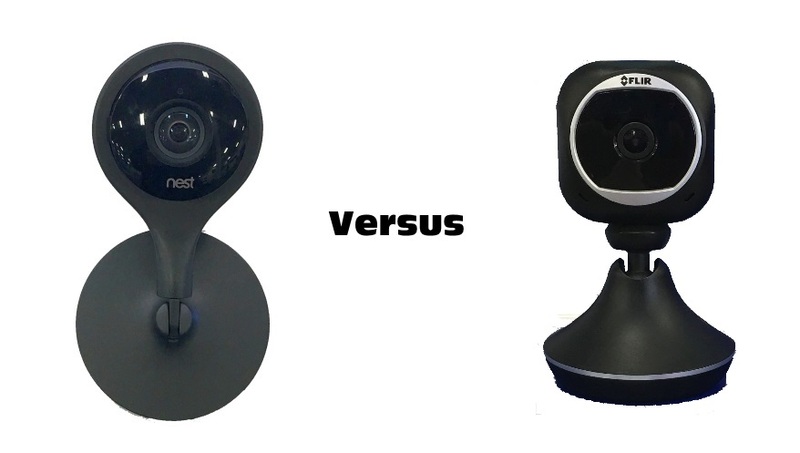 So it’s time for a Nest Cam Versus Flir FX HD Security Camera comparison. Both applications work well on a smartphone but I found the Nest Cam app to be easier to work with and it just appears more intuitive to me. You can access your Nest Cam from your smartphone, tablet or desktop via a web browser. The FLIR FX does not have web browser access which is hard to believe. The Nest Cam and FLIR FX app each provide the typical high end features needed for any good security camera. Motion and sound detection are provided as basic features. Both models support motion zones to minimize false alerts from areas like trees and bushes which tend to move with the wind. However, be aware that activity or motion zones are only available if you subscribe to a cloud plan on Nest. With FLIR, these motion zones are called Smart Zones and are included with the purchase of the camera. To me, it’s a basic feature of a good home security camera. nest shouldn’t charge anything for this basic feature, but they do. For what it’s worth, the implementation of motion zones is better on the Nest Cam because it offers more flexibility in defining the zone sizes. The FLIR FX camera offers both the cloud subscription as well as on-board storage. Effective late 2016, Nest rolled out free cloud storage to their cameras. This made the Nest Cam much more competitive. The Nest Cam supports Sightline which provides snapshots of events stored on your phone from servers hosted by Nest. You can think of Sightline as a light version of their paid subscription which is called Nest Aware. Nest Aware Service starts at $99 annually and includes activated premium features on your camera plus extended retention of video. Nest Cam has a feature called Home and Away. It turns the camera off and on depending upon if you are home or away (actually, it’s more based upon if your smartphone is home or away). 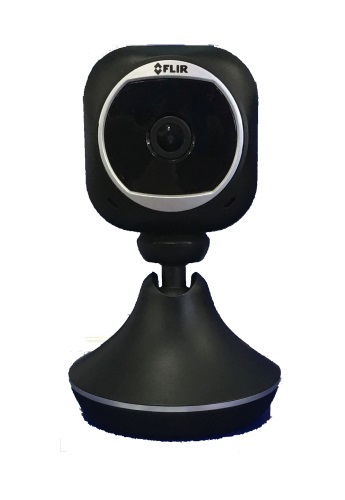 Both cameras have the ability to monitor motion based upon a schedule. The FLIR FX has a feature called RapidRecap which is a summary of the day’s events. It’s handy for checking out what motion took place while you weren’t around. You get to maintain up to three of these a month on the free cloud storage plan. There is no similar feature for free on the Nest Cam. In my opinion, the Nest Cam has a better flowing app versus the FLIR FX. However, I will say the absence of free motion/activity zones without the paid cloud subscription on Nest is a big negative for Nest. Connection of either camera is done through your smartphone and is fairly simple. All done through their respective apps. The FLIR FX has you scan a code on the bottom of the camera where Nest has you connect to the camera via the app. The difference between the two is in support of dual bands by Nest Cam. The FLIR FX connects to your wireless router at 2.4GHz using 802.11b/g/n. Nest Cam supports 802.11 a/b/g/n at dual bands of 2.4 and 5 GHz. The 5GHz band is going to work best for HD video when close to the router. It will not help if far from the router. I define far as 75 feet with a few walls between you and the router. But it makes a big difference when you can use it. This is an important category to me. It bothers me to have to pay for a home security camera then have to pay a monthly charge to see my video history. That’s what Nest Cam makes you do with an annual $100 – $300 charge for their cloud storage. That’s more than I paid for the camera. FLIR provides a free 48 hours of cloud storage. That’s a terrific feature and coupled with their on-board storage of up to 64GB gives an unusually high amount of flexibility when it comes to checking what’s happened in the past. There are paid plans available from FLIR that can take you up to 30 days with costs ranging up to $19.99 monthly. I suspect the free basic cloud plan is sufficient for most, but more is available if needed. The cameras are roughly the same size. Neither case is waterproof nor are they made to operate outdoors. The usability of the included stands are about even. There is a 160 degree wide angle lens on the FLIR FX. That’s a very large range. You can get an excellent view of the entire room, almost wall to wall if putting this in a corner. The night vision works well. You can zoom in on an area but it’s a fuzzy looking image. The viewing maximum is 720p but you can record at 1080p. That’s a surprising lack of consistency and a slight negative. Can you tell the difference in 720p versus 1080p. Yes, especially when you use the zoom features. Nest Cam and the FLIR FX support two-way talk. The FLIR FX speaker quality is marginal at best. The overall quality is far better on the Nest Cam. I can hear the other person better with the Nest Cam. Not so much on a FLIR FX. The better speaker, 8x zoom and 1080p video are clear advantages for the Nest Cam. The FLIR FX comes with a metal weighted home stand that doubles as a secondary battery supply. Here’s something new: They offer one of the largest varieties of alternative mounts that I have seen. You can add an outdoor mount to make this a weatherproof security camera. FLIR offers a car mount to turn it into a dash cam. They also have an action enclosure so you can mount it just like you would a GoPro. The FLIR stand also has a battery built into the base so if you lose power, the stand gives you an extra two hours. 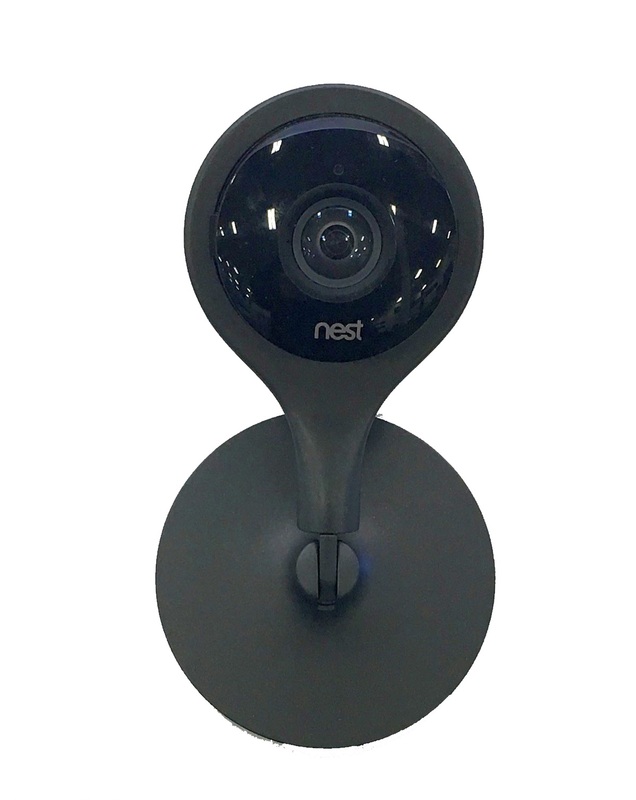 The Nest Cam has a plastic stand that swivels. The stand can be mounted to a wall or ceiling as well as a tabletop stand. There is a magnet embedded in the bottom of the stand to allow mounting on a metal surface. Due to the popularity of the Nest Cam, a few enterprising companies have come out with a line of custom mounts to allow you to use these in other places. Nice, but we rating what comes from the manufacturer. A unique feature on the FLIR FX is the ability to turn it into a hot spot. Tether your camera to your phone and let it download to the cloud if you have a big data plan. Another noteworthy feature is the availability of temperature and humidity readings on the app. This is excellent for an absentee homeowner to ensure the heat or A/C is working when you aren’t at home. Great for a second home in my opinion. It was close, but the best of these two is the Nest Cam. The video quality and hardware feature are vastly superior with the Nest Cam but the FLIR FX has more free software features either not present in Nest or part of an added paid plan. If video quality and motion zone flexibility are vital, the Nest Cam is the better camera. If total cost of ownership, flexibility in usage (you can use a FLIR FX as an action cam or dash cam) and cool software features like temperature are important, then select the FLIR FX.